My son’s bd was on the 23th. Feliz Dia, mi amor. 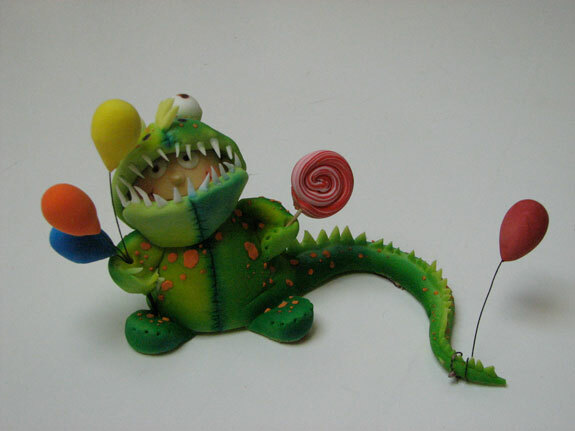 An illustration that I did for the invitation to his bd, and the 3D sculpture made out of fondant for the bd cake. Cake girl is an artist! I’ll post a nicer pick of the sculpture later today. I kept it! One more month until Claudine’s workshop! I can’t wait for her class. My buddy Debbi Pehrson Haun and I are taking the workshop. We signed up back in January!! Claudine will give a 4 day collage class at the Sedona Arts Center. Class is full now but you can be put on the waiting list by calling the Center: (888) 954 4442. You can find out more about her workshops here. While you are there take a look at her work and her site. Awesome website and really cool artwork. Note to Reader – Check Debbi’s website – I had a lot of fun designing it. Did I mention that I’m part of the AZ Chapter of SCBWI – Society of Children’s Books Writers and Illustrators? It’s a very long name for one if not the only association dedicated solely to improve the craft of the Children’s Books and their authors and illustrators. If you are not a member, join us. We have a really strong Chapter in AZ – check out our newly, relaunched site. I’m the Co-Illustrators Representatives for the AZ Chapter. I bet you didn’t know that about me, did you? 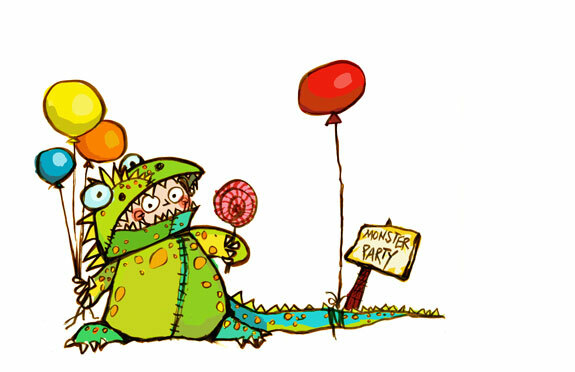 Pat Cummings is coming to AZ to give a full day workshop – “SCBWI-AZ Illustrators’ Intensive“. Pat is an award winning author and illustrator currently living in NY and teaching illustration at Parsons. Workshop will be held in Scottsdale on Saturday, October 4th. This workshop will focus on developing a provocative, narrative image that showcases the widest range of individual skills possible. Homework assignment required. Class size limited to 20. Download your registration here and mail it today! NOTE: SCBWI-AZ Logo designed by Juana :) Isn’t it gorgeous?